2018 Polly's Peso - $1 Off coupons! 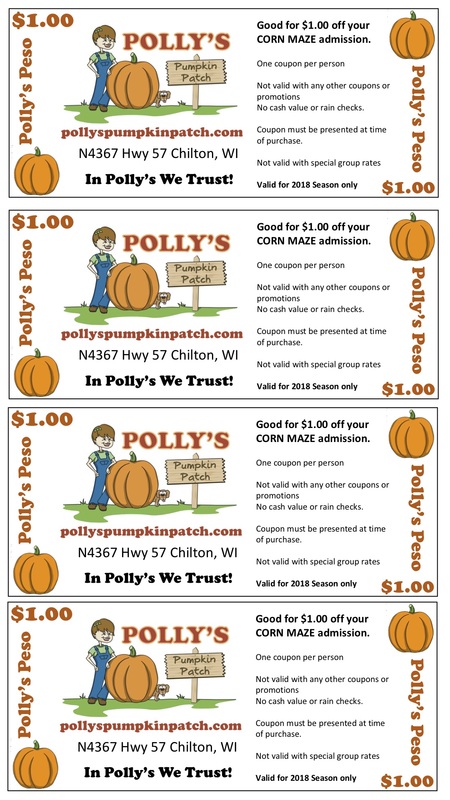 Use these coupons for $1.00 off (1) admission price to Polly's Corn Maze . Print enough tickets for the entire family or show it to us on your smart phone! Click here to open and print coupon.